Glamping is big news in the staycation world, and if you’re looking to escape the hassle of a tent but still want an affordable holiday, glamping in Devon is perfect. Pack blankets. Our luxury glamping pods are snug and cosy, but don’t be mistaken in thinking it’s the same as a hotel room. You’ll need some blankets to keep warm when the temperatures drop in the evening – and they’re perfect for snuggling under to sit and look at the night sky. Pick your location. At Hele Valley Holiday Park, we’re surrounded by outstanding natural beauty and woodland to explore, as well as being close to the North Devon Coast. It’s the perfect spot for exploring. Bring some games. While you have electricity in your glamping pod for a laptop or portable DVD player, and limited free wifi around the park, why not enjoy spending time with family and friends by playing some board games or getting out a pack of cards? Light it up. Want to make your glamping pod seem extra magical? Bring along some solar-powered fairy lights to add a touch of extra glamour to your stay. Get cosy. Think about some of the home comforts you might need – the last thing you want, for example, is to head out to dinner without a mirror to check yourself in! Little things like mirrors and bucket toothbrush holders are perfect for making your glamping pod even more comfortable. 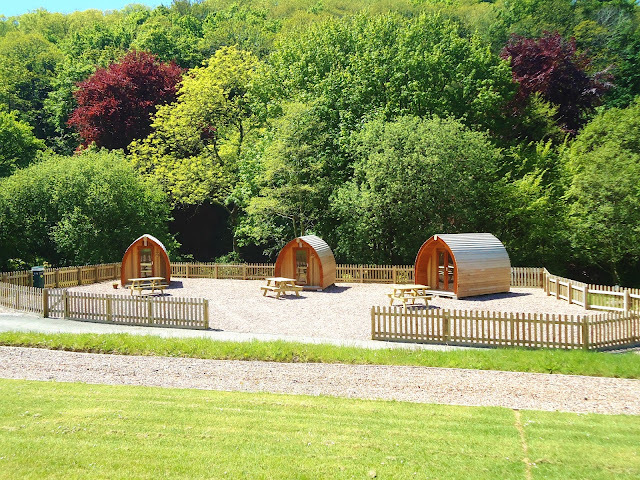 If you’re looking for a glamping holiday in Devon, make sure you take a look at the magical glamping pods at Hele Valley Holiday Park, near Ilfracombe, Devon. Don't forget to keep up to date with us on our Facebook, Instagram and Twitter pages for more exciting news!